As I've mentioned this morning in my 30 Days Challenge; Day 12 post, I'd come along tonight to talk about my Day 13 simply because I had skipped Day 12 by accident. See how amazing I can get? I do re-cap posts, everyone! And honestly, I've still got the review of A Good Day To Die Hard yet to come up. Yes, I watched it thanks to my intern benefits. Be jealous, all. But I'll probably gloat about it in the review post because I took one look at the challenge list and I realized that this is one of those days where I don't need to make a difficult decision. Day 13 simply reads as "Someone you miss the most" and there is nobody and I repeat, NOBODY in this life that I miss more than this one man. He was such an amazing person who poured nothing but love and attentive care to a girl like me. His smile was so warm that it just made you smile right back and the anticipation of seeing him every time made me happily fuzzy inside. If you're vomiting and thinking that I'm talking about Wai Kin, please swallow your vomit right back in and realize that it isn't him I'm referring to. (At this point, Wai Kin would panic and get a little crazy on who I could be talking about with such passion.) But really, it isn't Wai Kin. And he isn't even of my age. 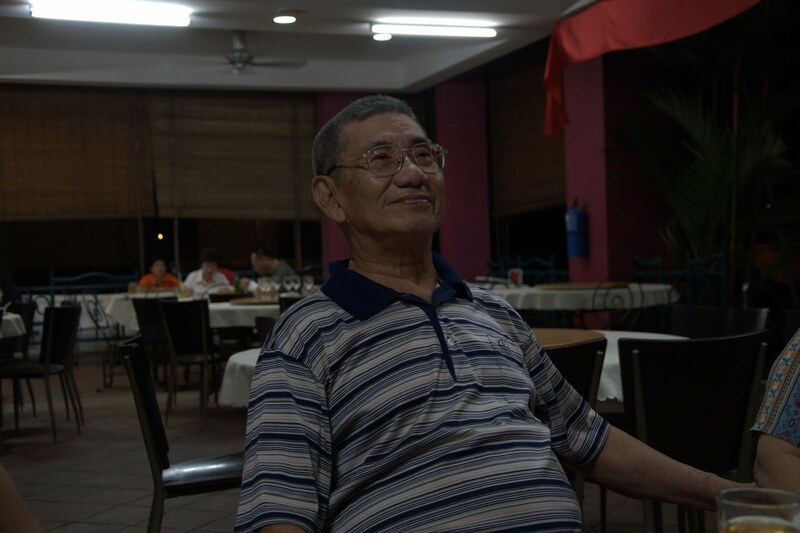 This is Mr. Lim Tai Chuan. 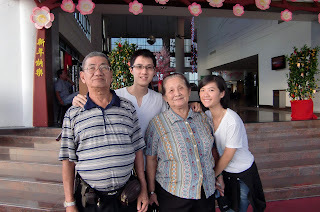 To most of my friends who know me well, they would know how great the passing of my grandfather had affected me. I cried the night I knew he died and I cried through the week whenever I thought of him. In fact, I still cry today as I think back on the things I SHOULD have done and yet have NOT done. Then again, those are just regrets stacked up to more regrets and somehow these regrets will never be reduced. I remember the night we had the call from my aunt saying he had gone and I remember how my mum just broke down by the stairs that night. We tried pretty hard to stay strong after and if anything, I saw the softest side to Wai Kin that I have ever seen that night. I remember how he let me cry on his shoulder and how he hugged my mother to comfort her. That could possibly be the one night I realized that Wai Kin is the most amazing boy ever. And then I crawled to bed alone that night; thinking of the things I never did for my grandfather. I thought of how he would wake up early to get to the market and buy me my favourite kuih or the times he made me sea asparagus with clam abalones along with cold crabs and mushrooms. I thought of how he was happy to see my brother's girlfriend and how he was happier when we said we'd show him my boyfriend the next time we came back. He never saw it. I thought of how I should have called him the day after I knew he was in the hospital. Instead, the selfish part in me insisted to shake away the depression of losing someone I loved so much that I went out. I thought of how my mother told me he had a strong voice telling her that he was fine and he wanted to get out of the hospital and I thought so much more of how selfish I was whenever I was back home in his arms yet the only thing I did was face my laptop to work, to chat and to do ridiculous things such as loiter on Facebook, rant on Twitter or laugh at 9gag. Everything ran in my mind; all in a span of a night and it felt like the longest night ever. The car ride back home didn't make it any better the very next day. And neither was looking at his cold and rigid body after. Everything was difficult; even when I was such a grown up. Today as I look at my Day 13 of the 30 Days Challenge, I am reminded once again to share about the person whom I miss the most and unlike other days, I didn't need to reevaluate my thoughts nor change my mind. There was only one person that I missed and there isn't anyone in this world who could take his space. I would do just about anything to go back in time and see him. I would call, I would love and I would appreciate all the opportunities I had. But that's really just my little imagination. Day 13: Someone you miss the most. And you are that someone, Ah Kong.